Finding Resonance: Strengths x Environment2 = Performance What’s Your Frequency? A good number of entries in this blog have been about how important it is to find your strengths, and for good reason – only by knowing your true talents can you design a life to maximize them. That said, strengths are actually a relatively small part of the equation for peak performance. Clearly identified, strengths are just a data point unless they are utilized in an environment where they are needed, wanted, and resonate. We have all known a talented co-worker – engineer, accountant, creative director – who just wasn’t “a fit” with the people, work or culture of a company and floundered, eventually leaving or being “exited.” Yet, we all know of situations where a few months later in a similar role in a similar company, this same person with the same skillset is suddenly flourishing. What gives? I would assert that the subtle and unique combination of skills, talents and capabilities of this employee (or leader, athlete, or musician) were out-of-tune with the resonant frequency of their environment. To explain, let me introduce a metaphor from the world of audio. I have a fascination with subwoofers. For me, there is something compelling about the super-low, even subsonic, bass notes from the kick drum, tympani or pipe organ that cause standing waves in milk, and your insides, to curdle. Sadly, my neighbor, Dolores, does not feel the same way, and these days I have to switch the subwoofer off unless I’m sure she’s not home. I used to have a 3000-watt subwoofer that was capable of 95 decibels at 20 hertz (the low end of human hearing) which would rattle the windows in the living room. 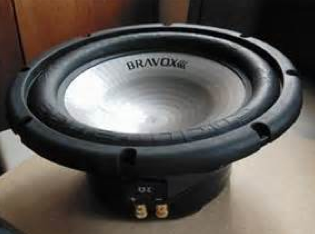 Now, I have a 300-watt subwoofer that is capable of 105 decibels at 20 hertz. By way of comparison, the lower the frequency, the exponentially greater the power required to create the same volume level. 10 additional decibels requires exactly 10 times more power. Yet, this new subwoofer has 1/10th of the power. So how is it possible to achieve 10 times the volume with 1/10th of the power, a 100-fold performance improvement? The old subwoofer was crammed into a tiny cabinet to save space. 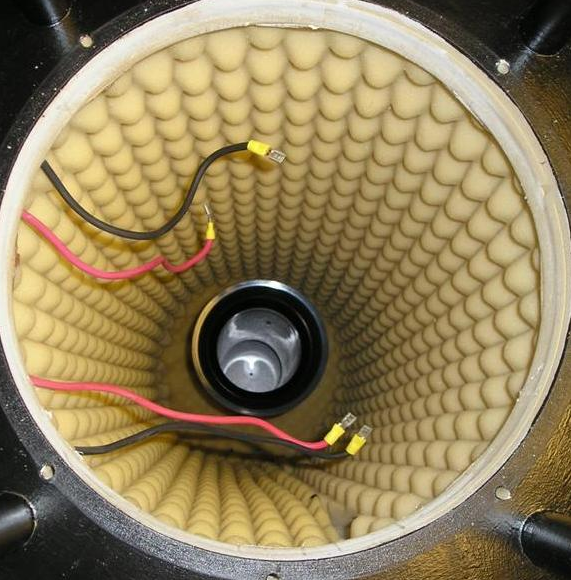 The new subwoofer has a large (5’) cylindrical enclosure that allows standing waves to build inside before escaping through a specially-tuned port. Now, I can rattle the windows of the neighbor’s house 100 feet away without even turning the volume up half way. The subwoofer came disassembled and it was a fascinating experiment to run a low bass tone through the speaker absent the enclosure, and to hear essentially nothing other than a rubbery whooshing as it emptied its power into the cavernous emptiness of the room. The contrast upon moving the speaker into proximity with the enclosure was startling, as the whole house would begin to shake with the bold power of resonating bass. To complete the metaphor: Your strengths are the power driving the speaker (yes more power is better), but your environment is the enclosure that can either amplify your strengths 100-fold, or stifle them to nothingness. Of the two, the enclosure/environment is exponentially more important in determining output and performance. Are you in the right “enclosure” to amplify your strengths? Are you vibrating at a resonant frequency with your career, your home, your hobbies, your friends, or your relationships? Or are you out of tune with your environment, wasting all your power vacuously shaking in place with no impact on the world? What about your teams, your children, your family and friends – what kind of environment are you creating for them? Are you helping them find their resonant frequency, and designing the kind of space, culture and environment that allows them to achieve peak performance and output? Or are you cramming them into the predetermined architecture of your world, traditional schools, traditional rules and expectations, stifling them in the process? Want to learn more about your strengths and how to leverage those of your team? Join me and Dr. David Rendall Feburary 13th in Chicago for our Strengths 2.0 Summit, a half day workshop to use design thinking to find your strengths and design through your weaknesses. Click the link below to learn more and register.